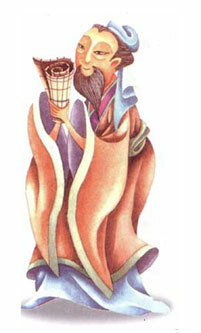 Chinese culture is heavily influenced by Confucius, the great Chinese scholar. 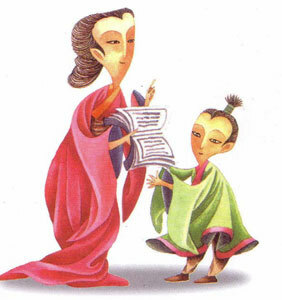 Confucius believed that moral principles, virtues and disciple should be the very first lessons taught to a child, and that children need to practice them daily. 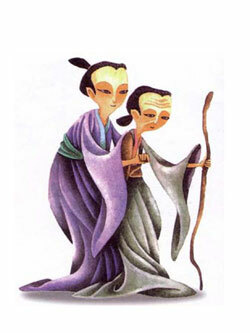 It was most important to the ancient Chinese parents that their children learned moral principles and virtues first, before any other subjects, because without these as foundation, the learning of all other subjects would be futile. 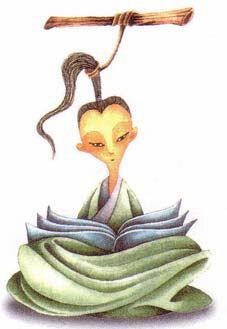 In ancient China , the purpose of going to school and studying was to prepare for becoming sages and saints, not to pave the way for fame or making a profit. All this is amazingly similar to the values considered vital by Vedic society in ancient India; yet, the similarity is not surprising since people worldwide in those days uniformly set a higher store to values than to profit. 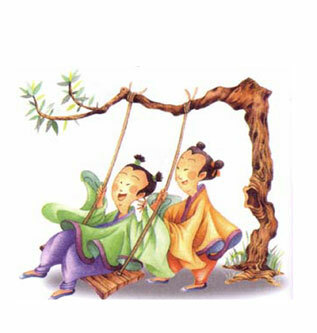 Ancient Chinese felt that without strict discipline and moral principles, a child would amount to nothing. Not knowing what it means to be dutiful to parents and respectful to teachers, a child would grow up not listening to or respecting anyone. Ironically today, many parents listen to the child instead of the other way around. Additionally, teachers are afraid to teach and discipline children because they are fearful of violating the children’s legal rights and being sued by the parents. Currently, we live in a tumultuous world where the relationships among people, between people and their environment, parents and children, husbands and wives, and employers and employees are disintegrating. Parents do not act like parents. Children do not act like children. Our minds are polluted and our family system is disintegrating, as evidenced by an ever-increasing divorce rate. Soon, the planet Earth will no longer be fit for us to live on. We are fearful of our future and of the future of our children. 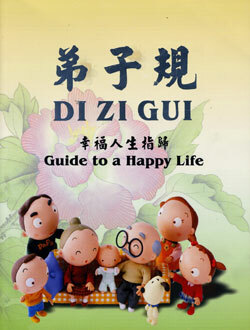 The book is based on the teachings of Confucius, and have been taught for ages, as the core of Chinese culture. The stress is on affection between generations so that grandparents, parents, children etc., are tied by bonds of love, so that there is no gap, mentally and culturally. Later, when Buddhism was adopted in China, the concept of love and affection was further extended. Outside the family, the child was expected to treat every male and female of the parents’ generation as if they were the child’s own father or mother. Considerable stress was laid on following the teachings of the ancient sages and saints and offering respect to them. All individuals were expected to love all, and cultivate love and compassion. 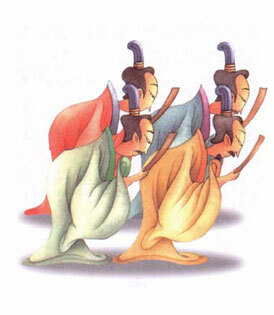 This, the ancients of China firmly believed, was the way to improve the quality of their cultural and spiritual life. We now consider the contents of the various Chapters. Chapter 1 deals with how the child ought to be dutiful to its parents. When my parents call me, I will answer them right away. When they ask me to do something, I will listen respectfully. When my parents reproach me, I will obey and accept their scolding. I will try to hard to change and improve myself, to start anew. In the winter, I will keep my parents warm; in the summer, I will keep my parents cool. I will always greet my parents in the morning to show them I care. At night I will make sure my parents rest well. Before going out, I must tell my parents where I am going, for parents are always concerned about their children. After returning home, I must go and see my parents to let them know I am back, so they do not worry about me. I will maintain a permanent place to stay and lead a routine life. I will persist in whatever I do and will not change my aspirations at will. A matter might be trivial but if it is wrong to do it or unfair to another person, I must not do it imagining it will bear little or no consequence. If I do, I am not being a good child because my parents would not want to see me doing things that are irrational or illegal. Even though an object might be small, I will not keep it a secret from my parents. If I do, I will hurt my parents’ feelings. COMMENT: In the Chinese tradition, it was the duty of a child, if necessary, to advise their parents from doing wrong. Sometimes, parents are misguided while children are far more honest; in all such cases, it was considered essential for the child to guide the parents than the other way around! When my body is hurt, my parents would be worried. If my virtues are compromised, my parents would feel ashamed. When I have loving parents, it is not difficult to be dutiful to them. But if I can be dutiful to parents who hate me, only then would I meet the standard of saints and sages for being a dutiful child. COMMENT: In China, a person’s conduct is governed by five important moral principles [Wu Chang] and eight virtues [Ba De]. The five oral principles are: kind-heartedness, duties and obligations, proper etiquette, wisdom, trustworthiness. The eight mandatory virtues are: duty to parents, respect for elders, loyalty, credibility, proper etiquette, duties and obligations, a sense of honour, and a sense of shame. Not surprisingly, there is some overlap between the two sets of codes of conduct. When my parents do wrong, I will urge them to change. I will do it with a kind facial expression and a warm and gentle voice. If they do not accept my advice, I will wait until they are in a happier mood before I attempt to dissuade them again, followed by crying if necessary, to make them understand. If they end up whipping me, I will not hold a grudge against them. COMMENT: This may come as a bit of a surprise, in ancient China, they were so fussy about obedience that when a child did not obey the parents, the parents were not only allowed to discipline the child but even allowed to ask the authorities to have the child executed! 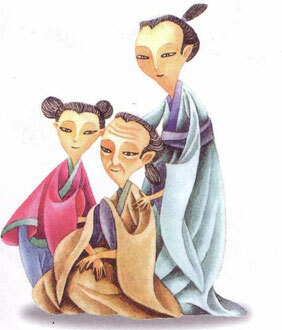 By the way, in ancient China, etiquette was laid down by the emperor. Obviously all this is going too far by today’s standards, but what we must understand is the passionate belief the Chinese had in discipline. When my parents are ill, I will taste the medicine first before giving it to them. I will take care of them night and day and stay by their bedside. During the first three years of mourning after my parents have passed away, I will remember them with gratitude and feel sad often for not being able to repay them for their kindness in raising me. During this period, I will arrange my home to reflect my grief and sorrow. I will also avoid festivities and indulgence in food and alcoholic drinks. I will observe proper etiquette in arranging my parents’ funerals. I will hold the memorial ceremony and commemorate my parents’ anniversaries with utmost sincerity. I will serve my departed parents as if they were still alive. COMMENT: It is hardly necessary to point out how much importance Swami gives to revering one’s parents both when they are alive and when the are no more. Talking about the death anniversaries of departed parents, Swami told His students, “Think of all the sacrifices they have made and shed a tear or two. After that feed the poor, seeing your parents in their forms.” We now consider the duty the child has to siblings. If I am the older sibling, I will befriend the younger ones. If I am the younger sibling, I will respect and love the older ones. Only when I can maintain harmonious relationships with my siblings am I being dutiful to my parents. When I value my family ties more important than property and belongings, no resentment will come between me and my siblings. When I am careful with words and hold back comments that would hurt, my anger would automatically subside. When I am drinking, eating, walking or sitting, I will let the elders go first; the younger ones should follow. When an elder is asking for someone, I will get that person right away. If I cannot find that person, I will immediately report back, and put myself at the elder’s service instead. When I address an elder, I should not call him by his given name. This is in accord with ancient Chinese etiquette. In front of an elder, I will never show off. If I meet an elder I know on the street, I will promptly clasp my hands and greet him with a bow. If he does not speak to me, I will step back and respectfully stand aside. Should I be riding a horse and spot an elder I know who is walking, I will dismount and pay respect to the elder. If I am riding a carriage, I will stop, get out of the carriage, and ask if I can give the elder a ride. 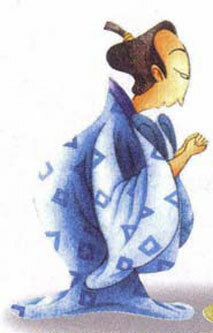 If I meet an elder passing by, I will stand aside and wait respectfully. I will not leave till the elder disappears from my sight. COMMENTS: It is necessary to pause and make several comments at this stage. Firstly, about the naming system in China. 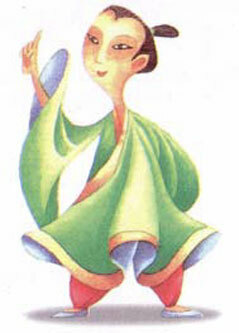 In the Chinese tradition, a male had at least two names. The first of these was the ‘given name’, the name given by the parents at birth. A second name was given to the male by his friends when he reached the age of twenty, at a ceremony called the Ceremony of the Hat, that was held to announce his coming of age. After that, only his parents could call him by his given name; all the rest, including the emperor had to address him only by his second name. The only exception was if the person committed a crime. In that case, at the time of sentencing, he would be called by his given name. Notice how detailed the instructions are. Such detailing is needed so that the term ‘rightful conduct’ becomes a detailed practical manual, easy to absorb and follow. Otherwise, each person would adopt his or her own version of rightful conduct and that could cause all kinds of problems. In this context, it is pertinent to mention that in ancient India, Emperor Manu laid down similar rules and they are collectively referred to as Manu Dharma. The rules comment on what a young person should do if that person is riding a horse and crosses an elder who is walking down the road from the other side. It is interesting that even today, in Prasanthi Nilayam when an old student or a villager is riding a bicycle crosses a teacher or a senior and respected elder, that person would alight from the cycle and mount it again only after the elder has crossed! Shows how similar the customs are in distant lands and how they have survived in some measure to this day! When an elder is standing, I will not sit. After an elder sits down, I will sit only when I am told to do so. Before an elder, I will speak softly. But if my voice is too low and hard to hear, such soft speaking is not appropriate. When meeting an elder, I will walk briskly towards him; when leaving, I will not exit in haste. When answering a question, I will look at the person asking the question. I will serve my uncles as I am serving my parents. I will treat my cousins as if they were my own siblings. COMMENTS: The advice about looking in the eye is an interesting one. Sometime ago, in Holland there was a lot of debate about Muslim immigrants, especially women, not looking the person they are speaking to in the eye. The Dutch said, “In this country, we always look into the eye of the person we are speaking to; doing so is a sign of being honest and straight-forward." In the Islamic tradition, however, the customs are different, and the issue was: Should the host country be tolerant to the culture of the immigrants or demand total conformity, in the name of all sorts of dubious arguments. It is important to understand, tolerate and be as accommodative as possible, especially when the customs are based on respect and humility. This also applies to calling the other person by name. In India, one did not until recently refer to an elder by name; but now, thanks to imported traditions, it is not uncommon to see youngsters refer to elders not only by name but even without the respect prefix of mister, etc. Let us continue and see what more advice ancient Chinese had for their children. I will get up each morning before my parents; at night, I will go to bed only after my parents have gone to sleep. When I realise that time is passing by me and cannot be turned back, and that I am getting older and older year by year, I will especially treasure the present moment. When I get up in the morning, I will wash my face and brush my teeth. After using the toilet, I will always wash my hands. I must wear my hat straight, and make sure the hooks of my clothes are tied. My socks and shoes should also be worn neatly and correctly. I will always place my clothes and hat away in their proper places. I will not carelessly throw my clothes around, for that will get them dirty. It is more important that my clothes are clean, rather than how extravagant they are. I will wear only what is suitable for my station. At home I will wear clothes according to my family traditions and customs. When it comes to eating and drinking, I will not pick and choose my food. I will eat only the right amount. I will not over-eat. I am still young, I must not drink alcohol. When I am drunk, my behaviour would be ugly. COMMENTS: The dress that ancient Chinese wore had hooks; there were no buttons then. I will always walk composed, with light and even steps. I will always stand up straight and tall. My bows will always be deep, with hands held in front and arms rounded. I will always pay my respect with reverence. I will not step on a doorsill or stand leaning on one leg. I will not sit my with my legs apart or sprawled out. I will not rock the lower part of my body while standing or sitting down. COMMENTS: In ancient China , people paid their respects to other by bowing, holding one hand over the other which is closed, or by prostrating themselves on the ground. I will always lift the curtain slowly and quietly. I must leave myself ample space when I turn so I will not bump into a corner. I will hold empty containers carefully as if they were full. I will enter empty rooms as if they were occupied. I will avoid doing things in a hurry, as doing things in haste will lead to mistakes. I should not be afraid of difficult tasks, and I will not become careless when a job is too easy. I will keep away from rowdy places. I will not ask about things that abnormal or unusual. 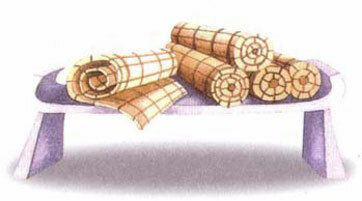 COMMENTS: In ancient China, curtains were made of bamboo strips woven together. When I am about to enter a main entrance, I must first ask if someone is inside. Before entering a room, I must first make myself heard, so that those inside know someone is approaching. If someone asks who I am, I must give my name. To answer ‘it is me’ or ‘Me’ is not sufficient. Before borrowing things from others, I must ask for permission. If I do not ask, it is stealing. When borrowing things from others, I will return properly. Later, if I have an urgent need, I will not have a problem borrowing from them again. When I speak, honesty is important. Deceitful words and lies must never be spoken. Rather than talking too much, it is better to speak less. I will speak only the truth. I will not twist the fact. Cunning words, foul language, and philistine habits must be avoided at all costs. What I have not seen with my own eyes, I will not readily tell to others. What I do not know for sure, I will not easily pass on to others. If I am asked to do something that is inappropriate or bad, I must not agree to do it. If I do, I will probably be wrong. I must speak clearly and to the point. I must not talk too fast or mumble. Some like to talk about the good point of others, while some like to talk about the faults of others. If it is none of my business, I will not get involved. When I see others do good deeds, I must think about following their example. Even though my own achievements are still far behind those of others, I must aim at getting closer. When I see others do wrong, I must immediately reflect upon myself. If I have made the same mistake, I will correct it. If not, I will take extra care not to make the same mistake. When my morals, conduct, knowledge, and skills seem not as good as those of others, I will encourage myself to be better. If the clothes I wear, and the food I eat and drink are not as good as that of others, I should not be concerned. If criticism makes me angry and compliments make me happy, bad company will come my way and good friends will shy away. If I am uneasy about compliments and appreciative of criticism, then sincere, understanding, and virtuous people will gradually come close to me. If any mistake I make is inadvertent, it is merely a mistake. If it is done on purpose, however, it is an evil act. If I correct my mistake and do not repeat it, I no longer own the mistake. If I try to cover it up, I will be doubly wrong. A person of high ideals and morals is highly respected. What people value is not based on outside appearance. A person’s outstanding abilities will naturally endow him with a good reputation. Admiration from others does not come from boasting or praising oneself. If I am a very capable person, I should use my capabilities for the benefit of others. Other people’s competence should never be slandered. I will not flatter the rich or despise the poor. I will not ignore old friends, only delight in taking new ones. When a person is busy, I will not bother him with matters. When a person’s mind is not at ease, I will not bother him with words. If a person has a shortcoming, I will not expose it. If a person has a secret, I will not tell others. When people are being praised and approved of, they will be encouraged to try even harder. Spreading rumours about the wrongdoings of others is wrongdoing in itself. When the harm done has reached the extreme, misfortunes will follow. When I encourage another to do good, both our virtues are built up. If I do not tell another man of his fault, we are both wrong. Whether I take or give, I need to know the difference between the two. It is better to give more and take less. What I ask others to do, I must first ask myself if I would be willing to do. If it is not something I would be willing to do, I will not ask others to do it. I must repay the kindness of others and let go my resentments. I will spend less time holding grudges and more time paying back the kindness of others. When I am directing maids and servants, I will act honourably and properly. I will also treat them kindly and generously. If I use my influence to make them submissive, their hearts will not be with me. If I can convince them with sound reasoning, they will have nothing to object to. We are all human, but we are not the same. Most of us are ordinary; only a few have great virtues and high moral principles. A truly virtuous person is greatly respected by others. He will not be afraid to speak the truth and he will not fawn on others. If I can be close to and learn from people of great virtue and compassion, I will benefit immensely. My virtues will grow daily and my wrongdoings will lessen day by day. If I choose not to be close to and learn from people of great value, I will suffer a great loss. People without virtue will get close to me and nothing I attempt will succeed. If I do not actively practice what I have learned, but continue to study on the surface, even though my knowledge is increasing, it is only superficial. What kind of person will I be? If I do not apply my knowledge diligently, but stop studying, I will only do things based on my own opinion, thinking it is correct. In fact, what I know is not the truth. There are methods to study correctly. They involve concentration in three areas: my mind, my eyes, and my mouth. To believe in what I read is equally important. When I begin to read a book, I will not think about another. If I have not completed the book, I will not start another. I will give myself lots of time to study, and I will study hard. If I devote enough time and effort, I will thoroughly understand. If I have a question, I will make a note of it. I will ask the person who has the knowledge for the right answer. COMMENTS: Students were expected to read a book again and again till they have understood it in full. I will keep my room neat, my walls uncluttered and clean, my desk tidy and my brush and inkstone properly placed. If my ink block is ground unevenly, it shows I have a poor state of mind. When words are written carelessly, showing no respect, this shows my state of mind has not been well. My books should be classified, placed on the bookshelves, and in their proper places. After I finish reading a book, I will put it back where it belongs. 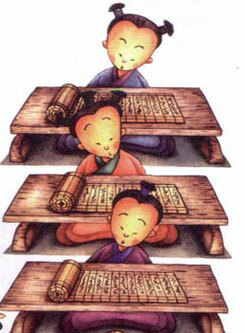 Even if I am in a hurry, I still must neatly roll up and bind the open bamboo scroll I have been reading. All missing or damaged pages ought to be immediately repaired. If it is not a book on the teachings of the saints and sages, it should be discarded and not even looked at. Such books can block my intelligence and wisdom, and direction. Neither be harsh on myself nor give up on myself. To be a person of high ideals, moral standards and virtues are qualities we can all attain in time. COMMENTS: In ancient China, a brush was used for [calligraphic] writing. The ink was prepared by grinding an “ink block” against the inkstone, using water for dilution. “Scroll” or “juan” means a bamboo scroll. 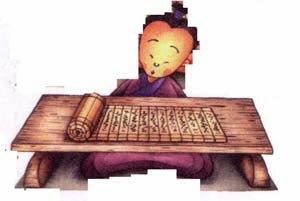 It is an ancient book, in the form of a scroll made of bamboo slips with knife-carved or painted Chinese characters. Such books were used before paper was invented. Our purpose in presenting the above is not only to draw attention to the fact that values formed the backbone of all ancient societies but also to stress that the ancients everywhere recognised that the inculcation of values must start at a young age. This, of course, is something that Swami has been always stressing, which is why for decades the Sai Organisation has been running programs like Bal Vikas, EHV, etc. We do hope that parents, teachers and Gurus involved in developing values in children would read what we have offered here. And having done so, would some of them at least, please write how Swami has been teaching these very same lessons [and many more] over the years? We particularly welcome Bal Vikas Gurus the world over to contribute articles that would take this theme further. ACKNOWLEGEMENTS: The book Guide to a Happy Life from which we have presented several extracts, is published by Pure Land Books, 57 West Street, Toowoomba, Queensland 4350, Australia, and was kindly made available to us by Brother Wee Lin of Singapore , to whom H2H expresses many grateful thanks. We mention once again that we have taken the liberty of quoting extensively from this beautiful book because the Publishers, in keeping with ancient tradition, have generously welcomed reproduction and distribution, provided it is done free. POST SCRIPT: After we prepared this article, we received from Bro. Billy Fong of Malaysia, a mail attached to which was a long text. That attachment not only contained the text we have reproduced, but also carried comments on how these teachings were imparted to children in Malaysia as a part of their educare/EHV programs. 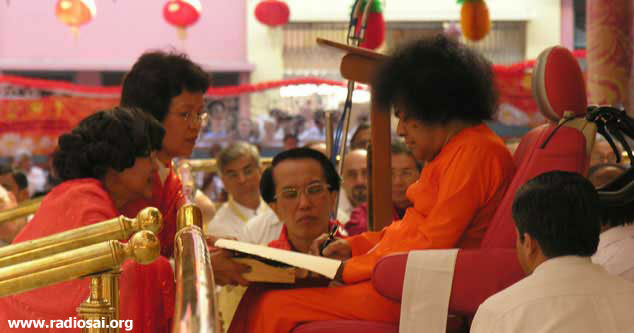 A book entitled The Traditional Chinese Di Zi Gui, and its Relevance to the Sathya Sai Educare Programme was also placed at the Lotus Feet during the Chinese New Year Day Celebrations. Jai Sai Ram! Dear Reader, did you find this article helpful? Do you have any experiences on this topic that you would like to share with us? Please contact us at [email protected] mentioning your name and country. Thank you for your time.